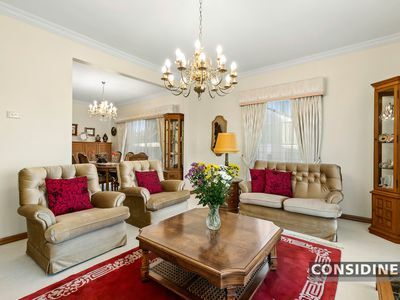 Situated on a large high-side block with established garden surrounds and sweeping valley views, this distinctive residence provides a ready-made family lifestyle of quality, versatility and enviable Strathmore convenience. 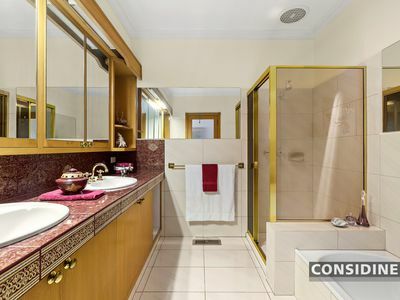 Picture-perfect from start to finish, the home's light-filled interior comprises 3 generous bedrooms (large master with ensuite), main family bathroom and separate powder room. 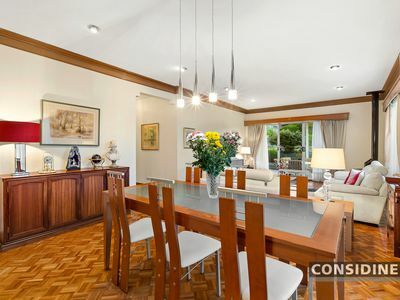 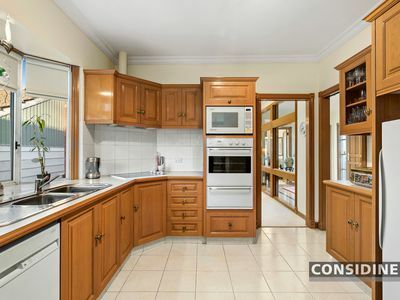 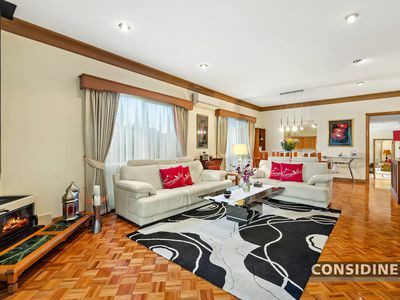 Add to this a front lounge and formal dining room, timber-cabinet kitchen with dishwasher leading through to the spacious open-plan living/dining area complete with wood heater and stylish parquetry floors. 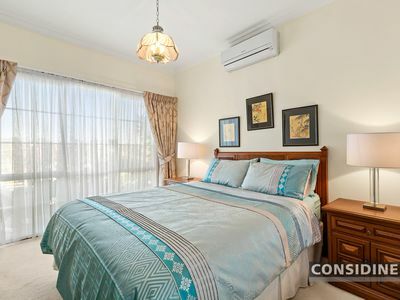 Other features include ducted heating and split-system air conditioning, robes in all bedrooms and large laundry with ample storage cupboards. 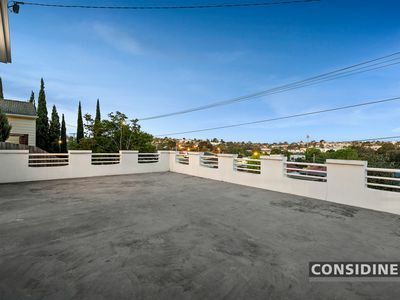 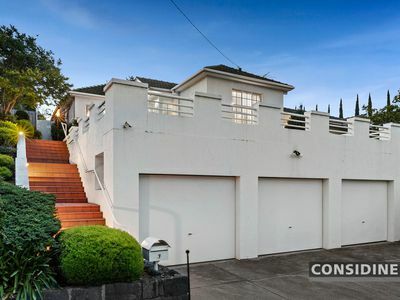 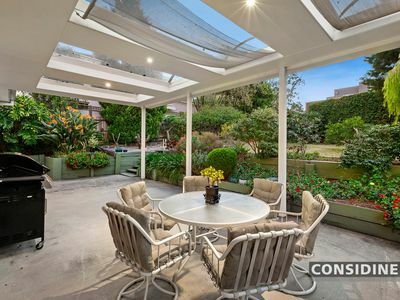 Step outside to a delightful undercover entertaining area and expansive backyard garden, plus the added advantage of a large under-house storeroom, huge front terrace with valley views and oversized triple garage. 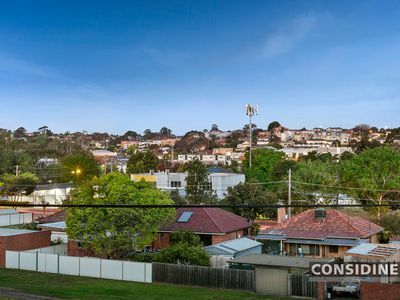 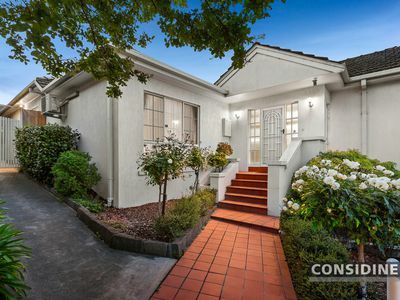 Within the prized Strathmore Secondary College zone, it also offers easy access to Napier Street buses, village cafes and shops, Strathmore Primary School, as well as local parks and Moonee Ponds Creek Trail, Pascoe Vale Station and Citylink.